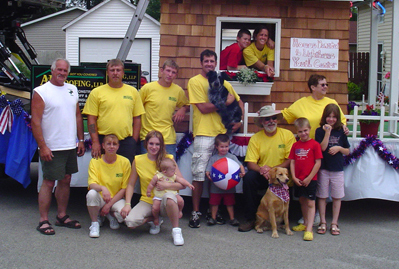 A&B Roofing, LLP is a small, hard working, local company. We serve all of southeastern Wisconsin with the care and attention to detail that homeowners deserve. With over 20 years of combined roofing experience, owners Adam Nelson and Brian Gehler are on every job. Be assured you'll get the best service possible. Testimonial "We are getting a lot of compliments on the roof! You guys do quality work which shows with the end result. We would highly recommend you to anyone." Your home is your greatest asset and we know you want to maintain it with the highest of quality. 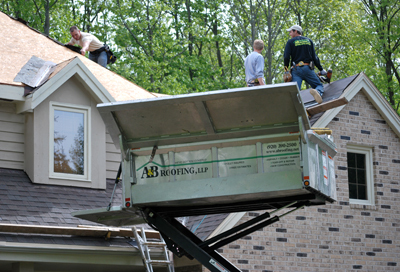 A&B Roofing, LLP is a member of the Better Business Bureau and a preferred contractor with Owens Corning. We go the extra mile to keep your project neat and clean, and we work hard to accommodate you and your busy schedule. In addition, we use the highest quality materials with the best warranties in the industry. With all these factors in place—experience, service, materials, and warranties—you know you're getting the whole package and a worry-free experience. A&B Roofing, LLP means safe and clean roofing. We work with the Equipter Roofers Buggy, which means there's no danger of falling debris and no mess or damage to your landscape. When we finish the job, the only thing left behind is a top quality, new roof on your beautiful home! Contact us today, we'll be happy to discuss our many product options, and a free estimate.